So I went to NY ComicCon on Saturday, October 8, 2016. And sure, I could tell you about all the mind-blowing, bigger-than-bejeezus and whammo-bap-biff sights that assaulted my senses during my visit, along with the claustrophobic cosplay crowded aisles. But no, I won’t. Instead, I’ll tell you about what everybody should be noticing, and that’s the large imaginations behind the smaller prints just waiting to be discovered. Instead of jamming my way into the bigger, more crowded booths, I took the path less travelled – the Small Press section of the convention. There, I found extraordinarily friendly, helpful, entertaining people, even if I didn’t make a purchase. 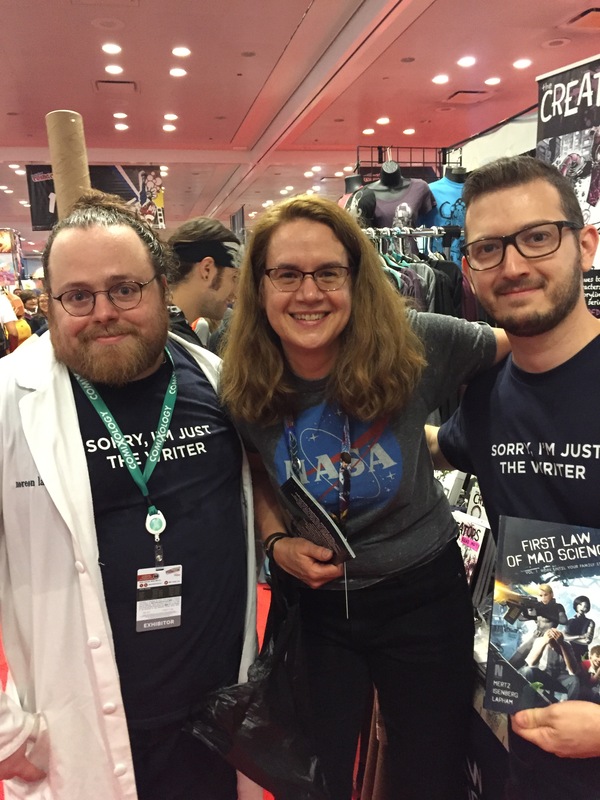 All of these people readily shared their stories about how they managed to make it to NYCC 2016, what inspired their work, why they keep going and the sacrifices they made along the way. Clearly every one of these people are devoted to their craft, often a labor of intense love rewarded each time someone turns the pages of their works…or contributes to their Kickstarter project. So it’s with that spirit I introduce to you some of the representatives of small presses that I met. I only wish I could write about all 40+ of them, but time and space only allows for these. Please support their works and visit their websites. I’ll guarantee you it’s time well spent. 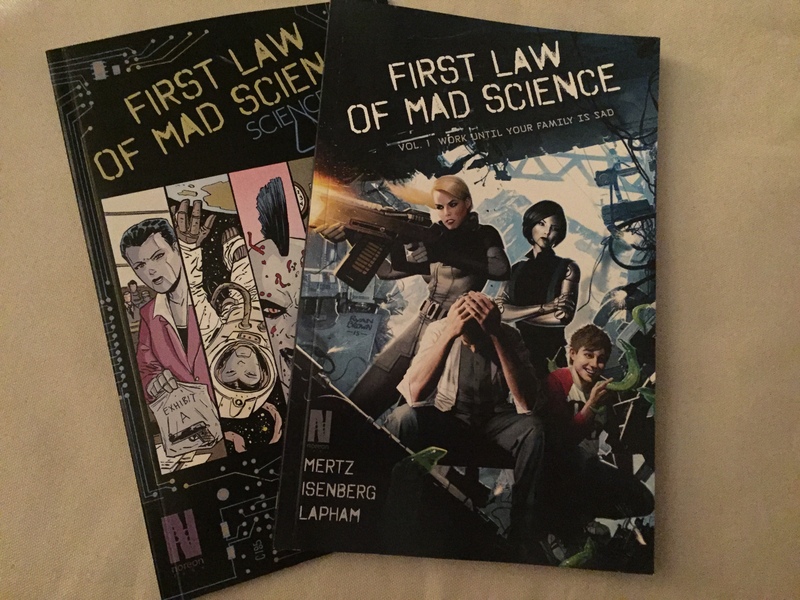 First Law of Mad Science, Written by Oliver Mertz and Mike Isenberg, Art by Daniel Lapham, Colors by Jeff McComsey and Oliver Mertz, Lettering by Mike Isenberg and Oliver Mertz, Cover by Ryan Brown and Issue 3 Inks by Lonny Chant. Published by Noreon Labs. Website: http://www.firstlawofmadscience.com. I met the creators on a casual stroll, when I gazed up at the title of the first volume, “Work Until Your Family Is Sad” made me break out in laughter. Please forgive me if I get your names messed up, guys, but I think it was Oliver who gave me the impressive elevator speech that hooked me to buy this book. And while I didn’t have a chance to read it today (sorry, I had to go to work! ), the bit I glanced through LOOKS GREAT! I also have a to get through FLOMS Science Club Mixtape. It’s a compendium of several artists’ works and stories. I knew I had a winner yesterday when I walked up to this booth and one of the artists responsible for its creation acted it out for me. Obviously, I had to buy it. The creatives behind this project are a team from Maine and Texas who now live in Las Angeles but came to New York ComicCon. 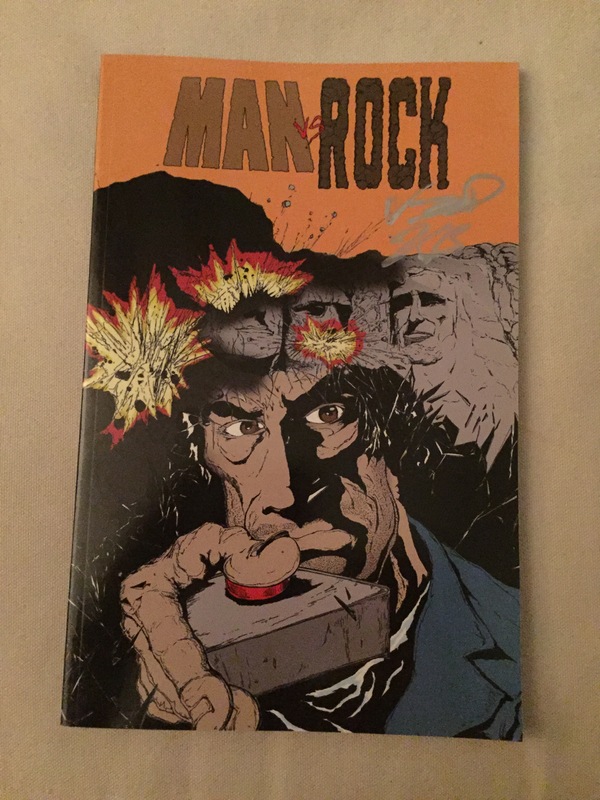 And as my personal dramatic reading demonstrated, this graphic novel features a strong female character AND a rock. While the female character is a strong as a rock, it’s the rock who’s the heavy hitter here. Don’t ask me to reveal all the severe consequences throughout history that the rock foisted on humankind, but if you get your hands on this book, you’ll certainly find out! Learn the truth and purchase, folks! 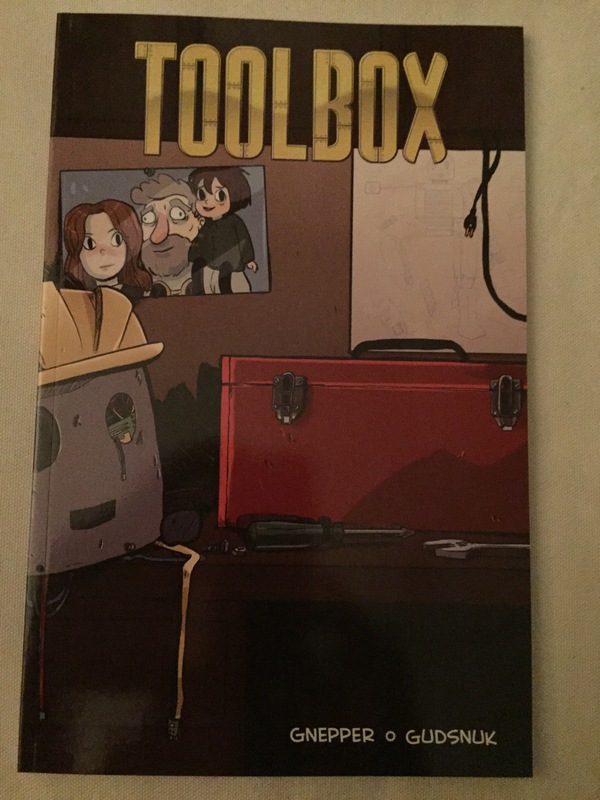 Toolbox, Written by Kyle Gnepper (website – http://www.unshavencomicsonlin.com), Art by Kristen Gudsnuck (website – http://www.henchgirlcomic.com). 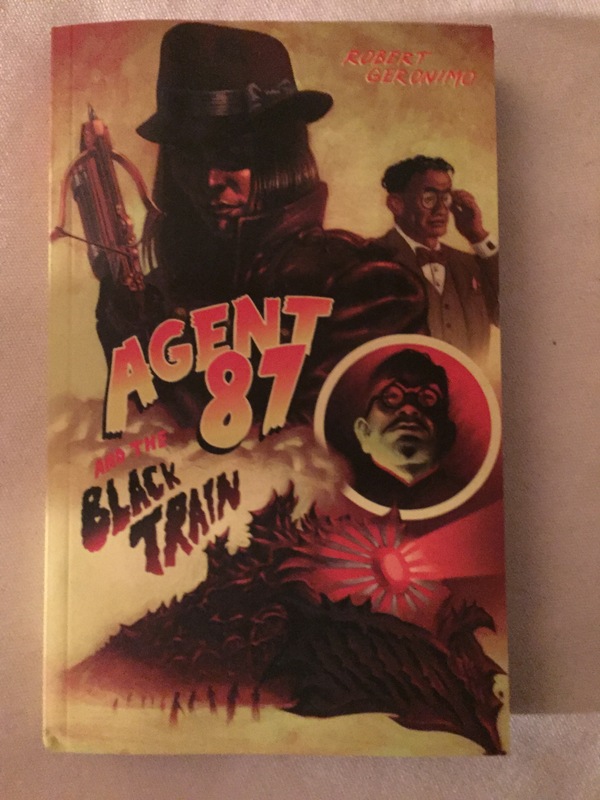 Agent 81 and the Black Train, Written by Robert Geronimo, Illustration by Chilly Bliss, Ascalon Press, NY http://www.ascalonpress.com. I must also add that Ascalon Press also has a division, Ascalon Games, and they’ve created an app called “Little Maia and the Lunar Express – a game where the player evades enemy rockets, aliens and a giant space monster.